Narromine is a town of approximately 3500 people, located on the Macquarie River about 40 kilometres west of Dubbo in central western New South Wales. The town sits on the Mitchell Highway, a major road that connects western New South Wales with south western Queensland. The population in the Shire of Narromine is around 6800. The area is a popular place to grow citrus fruits and for gliding, a recreational activity using unpowered aircraft. Narromine is also the birthplace of Australian cricketer Glenn McGrath. James and Brittany Daymond moved to Narromine in February 2017 to engage in an evangelistic ministry. James will partner with Phil Howes, the Rector of the Narromine and Trangie Anglican Church, to share the gospel and connect new believers to the local church. They hope in time to extend this ministry throughout central western New South Wales. 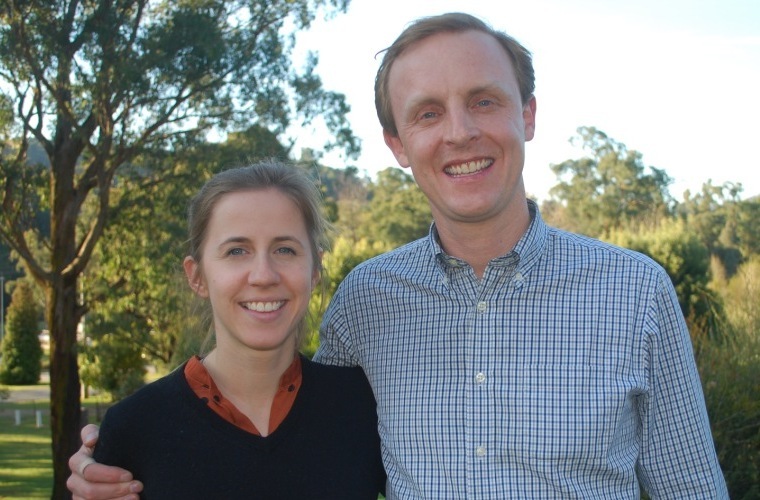 Previously, James was the Evangelism Minister at St Clement’s Anglican Church, Mosman in Sydney and Brittany was the Contemporary Music Coordinator and Children’s Ministry Assistant there. Praise God for His mighty acts. Thank God for Jesus dying on the cross. Give thanks for the leadership of Bishop Ian Palmer as he retires this month. Pray that we would continue to tell others of God’s mighty acts.